Last week I asked you to join the movement across the country to boycott Black Friday. I discussed options available to us to support local minority owned businesses and offered an option to open an account in a black owned bank. If you would like help finding a black bank near you, please visit blackoutcoalition.org. There is a map that shows minority own banks and credit unions available throughout the country. If you are not able to support any of these local banks, there is a national bank that is FDIC insured and you are able to open an account with them online. OneUnited Bank is the nation’s largest black-owned bank dedicated to servicing low to moderate income communities. This is a power move that promises to add value to our community. We enjoyed the security of having a leader in the White House who we thought would take care of our needs. President Obama did things to make us feel secure. He was able to enact policies to guard against exploitation of the financial community and the environment. President Trump has taken care to undo all those things meant to help not just the people of color but every American. In less than a year, Trump has done things to threaten our overall well-being. Therefore, we need to make a power play. Dr. King fought for the right for everyone to live in a safe, clean environment. The poor low-income citizens have often lived on what King called “islands of poverty”. The poor live in the inner cities near industrial zones or around brown field zones. Low-income people are forced to live in the most polluted parts of our cities. 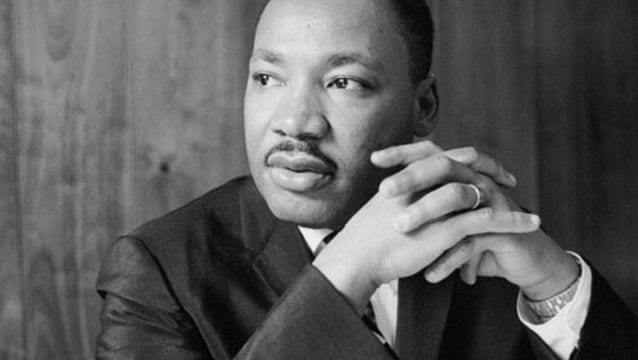 If he were alive today, Dr. King would have empathized with the plight of those struggling to deal with drought, wildfires and floods brought about because of rising CO2 levels in the atmosphere caused by the abuse of our natural resources. He would have brought these issues directly to the consciousness of America. I know many people are tired of hearing what we need to do as a people. The time for talking is over. Talking is the easy part. We must act to make our communities better. It is obvious no one will help us, so we must help ourselves. I encourage you to make a power move and move some of your money to a black bank. Together we can make a difference and become an economic power.